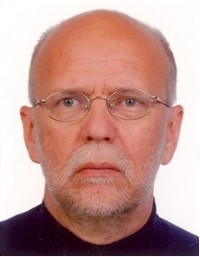 Surname: Kundzewicz, given names: Zbigniew W.
Zbigniew W. Kundzewicz, Corresponding Member of the Polish Academy of Sciences, is Professor of Earth Sciences (since 1993) and Head of Laboratory of Climate and Water Resources in the Institute for Agricultural and Forest Environment, Polish Academy of Sciences, Poznań (RCAFE PAS), Poland and a Senior Scientist in the Potsdam Institute for Climate Impact Research (PIK), Potsdam, Germany. Coordinating Lead Author of Chapter 13 (Europe) in IPCC (Intergovernmental Panel on Climate Change) WG2 TAR (Climate Change - Impacts, Adaptation, Vulnerabilities); Chapter 3 (Freshwater resources and their management) in IPCC WG2 AR4; IPCC Technical Paper on Climate Change and Water; and Chapter 4 of the IPCC Special Report on Extremes; hence part of the inner circle of the IPCC (2007 Nobel Peace Prize laureate). Member of the Advisory Board on the Environment (including Climate Change) of the European Union Seventh Framework Programme. Editor-in-Chief of scientific bi-monthly „Hydrological Sciences Journal” (Wallingford, Oxfordshire, UK) and member of editorial boards of several scientific journals. Author of 387 publications. Principal research interest and expertise: extreme hydrological events, climate change impacts, sustainable development. State orders: Golden Cross of Merit (Poland), Knight’s Cross of Polonia Restituta Order (Poland). Great Golden Seal of the City of Poznań (Poland). Other awards: Tison Award of IAHS (1987) and two awards of the Polish Academy of Sciences.